Instead of having a person with a long pole with "Stop" and "Slow" signs attached in highway work zones, the Maryland Department of Transportation's State Highway Administration will test the use of an automated flagger assistance device (AFAD). WASHINGTON — Maryland highway officials will soon test new technology to lower the risk to human flagging crews in road work zones. 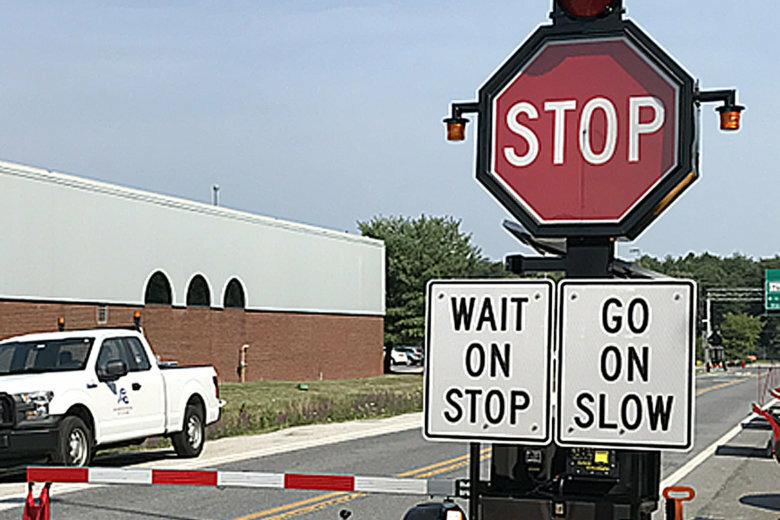 Rather than have a person with a long pole with “Stop” and “Slow” signs attached, Maryland Department of Transportation’s State Highway Administration will use an automated flagger assistance device (AFAD). Drivers will see a trailer-mounted device parked on the side of the road with the same Stop and Slow signs used in human operations. Certified flaggers will be able to stand off the roadway, near the flagging device, in the event human intervention is needed. The AFAD will be tested at a drainage project on Bedford Road (Maryland 807), just north of Cumberland, Maryland. Gischler said a pipe will be replaced in the 900-foot-long work zone, which will require the reduction of travel lanes from two to one.